Egg hunts will be taking place across South Jersey this weekend, while a popular parade returns to Ocean City on Saturday. Check out what else is going on around the region this weekend. The Katz JCC’s 12th annual Sussman 3-on-3 Basketball Tournament will take place this Saturday and Sunday. Nearly 1,000 participants will take part in this year’s event. The high school tournament will take place on Saturday night beginning at 5:30 p.m. and includes a 3-point contest, DJ, snacks and prizes. On Sunday, a tournament for grades one through four will begin at noon, with the fifth through eighth grade tournament taking place at 4 p.m. The cost to register at the door is $30. Visit www.katzjcc.org/sussman for more information. This weekend is the last chance for residents to enjoy Cherry Hill High School West’s spring musical, “Sister Act.” Performances are scheduled for 7 p.m. on Friday and 2 and 7 p.m. on Saturday. Tickets are $15 for adults and $10 for students and seniors. To purchase tickets, visit www.showtix4u.com. 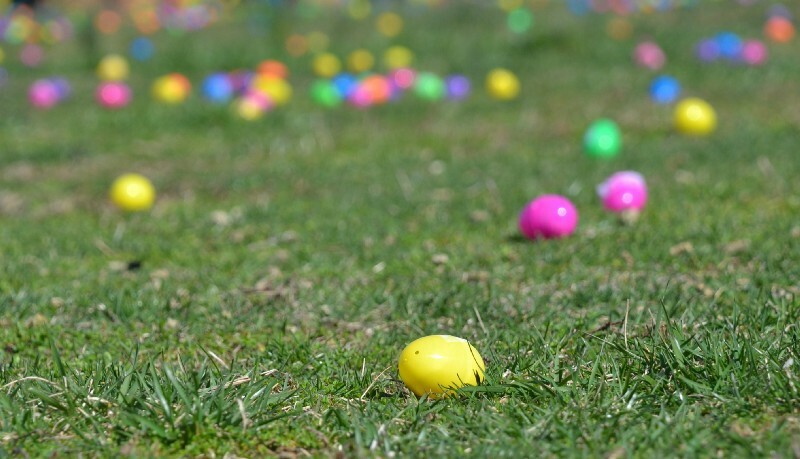 A slew of Easter Egg Hunts are scheduled for this weekend. One will take place in Medford Township as the Medford-Vincentown Rotary Club hosts its annual hunt at Freedom Park, 86 Union Street, in Medford beginning at 11 a.m. Preschoolers through fourth graders can join the Easter Bunny and hunt for fun-filled eggs. There will be special prizes available. Participants should bring a basket. There is no cost to participate. The rain date is April 15. Visit https://portal.clubrunner.ca/10557 for more information. Kids can go hunting for eggs any time this weekend at Paws Discovery Farm in Mt. Laurel. The Easter Egg Hunt on the Farm will take place Saturday and Sunday from 10 a.m. to 6 p.m. Kids can hunt for eggs at any time during operating hours. There will also be prizes and crafts. The egg hunt is included with a $10 admission. For more information, visit www.pawsdiscoveryfarm.com. An autism-friendly egg hunt will take place in Burlington Twp. this weekend. Peak Center for Autism is hosting an egg hunt and bunny photos at Burlington Twp. High School on Saturday from 9:30 to 11 a.m. Kids can create spring sensory bottles, play pin the cotton tail on the bunny, play in a bird’s nest and more. The egg hunt will begin at 10:30 a.m. Kids should bring a basket. For more information, visit www.peakcenteraba.com. Ocean City will be the place to be this weekend with a pair of fun events. On Saturday at noon, people will be lining Asbury Avenue for the 32nd annual Doo Dah Parade. The parade will feature more than 500 basset hounds as well as marching bands and floats. Regis Philbin will be the parade’s grand marshal. The parade will run along Asbury Avenue from 6th to 12 streets and finish at 12th Street and the Boardwalk. At the end of the parade, everyone can participate in Pie-asco and pie their friends with shaving cream pie. The event is free to attend and participate in. Visit www.ocnj.us/Doo-Dah-Parade for more information. Later on Saturday, the Ocean City Music Pier will host the Mr. Mature America Pageant for men 55 years and older. This first of its kind event will feature senior men competing in talent, poise and interview categories. The pageant will emphasize the relevance and contributions of senior citizens. Philbin will be the emcee for the pageant beginning at 7 p.m. Tickets for the show are $25 to $35. To purchase tickets, visit oceancityvacation.com/boxoffice. The toads are coming to the Schuylkill Center in Philadelphia on Saturday night. The center will host Toad Night from 7 to 8 p.m. Attendees can see American toads up close, learn about their history and search for eggs. There will be presentations and discussions featuring Carlos Martinez Rivera, an amphibian conservation specialist with the Philadelphia Zoo. The event is free to attend. The Schuylkill Center is located at 8480 Hagy’s Mill Road in Philadelphia. Visit www.schuylkillcenter.org/blog/event/toad-night for more information. The Taproom on 19th and the Philadelphia Mobile Food Truck Association are hosting their third annual Tappin’ the Trucks Brews n’ Bites Block Party on Saturday from noon to 7 p.m. Five food truck and five local brewers will be parked outside the Taproom at 2400 19th Street for an afternoon of brews, bites and music. All food and drinks are pay as you go. Children and pets are welcome. Visit www.taproomon19th.com for more information.